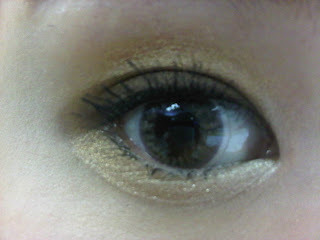 The first MakeUp that I have used up is this black Perfectwear Eyeiner from Lelan Vital. It comes with a mini-smudger and sharpener at the back (not photographed here) and is made in Germany. I find this pencil genuinely smudge-proof and pretty easy to use. 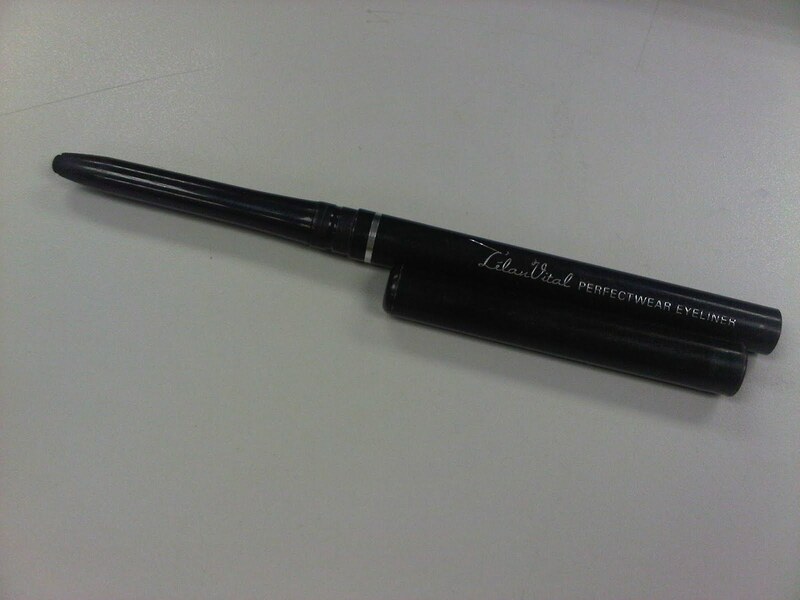 Glides on smoothly and delivers nice black pigmentation. Will definitely repurchase this sooner or later. IMO this is very similar to the KOJI springheart one. Which I have also used before. Below is a poor quality picture taken with my whiteberry. I used this eyeliner to line my upper waterline and fill in my lash-gaps.